& this may not be clearly visible in the image. 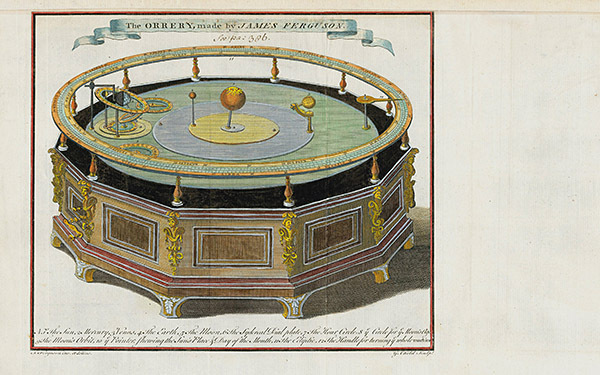 James Ferguson's Astronomy was one of the first attempts to translate Sir Isaac Newton's concepts into laymen's terms, making his complex theories more widely understood. 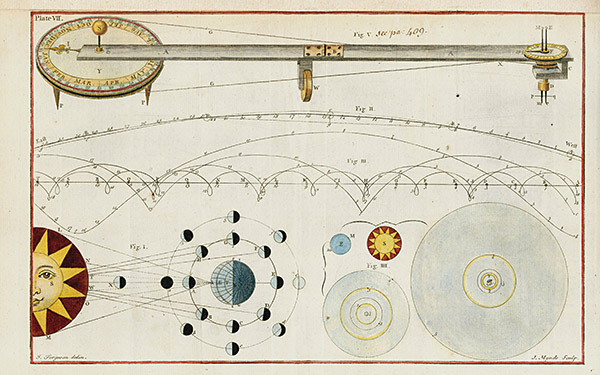 Panteek is pleased to offer these plates, illustrating man's early understanding of our universe. 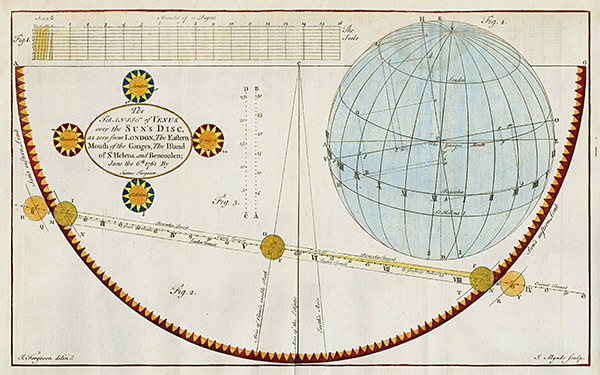 The Scottish-born Ferguson (1710-76) was a self-taught astronomer with an interest in mechanics. 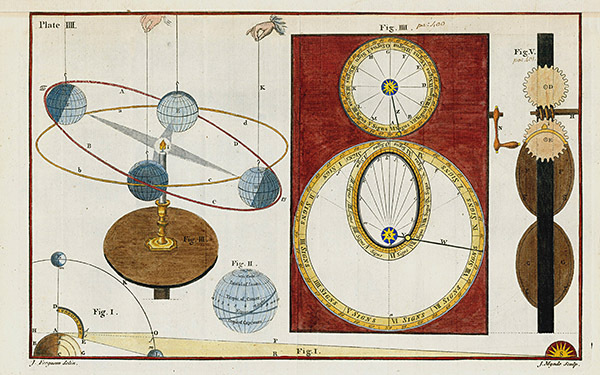 At a young age, his favorite amusements were complex wooden models of machinery. 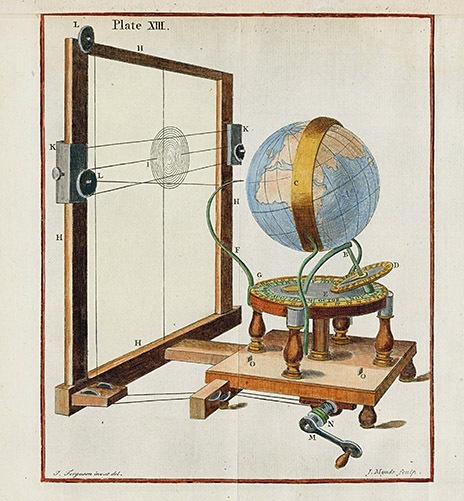 He became a lecturer on experimental philosophy, exhibiting his mechanical inventions to the Royal Society. 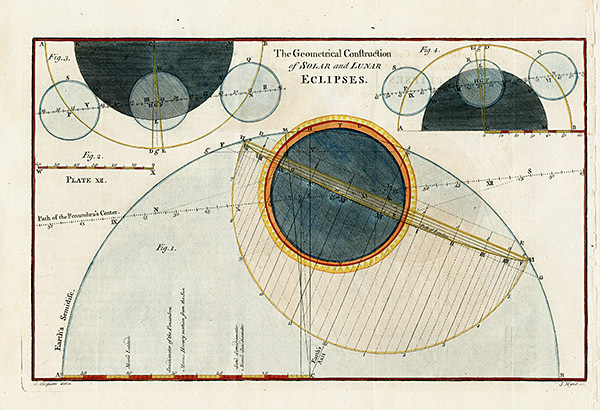 His 1756 work, "Astronomy Explained upon Sir Isaac Newton's Principles and Made Easy to Those who have Not Studied Mathematics" was met with immediate praise and remained in demand for several editions. 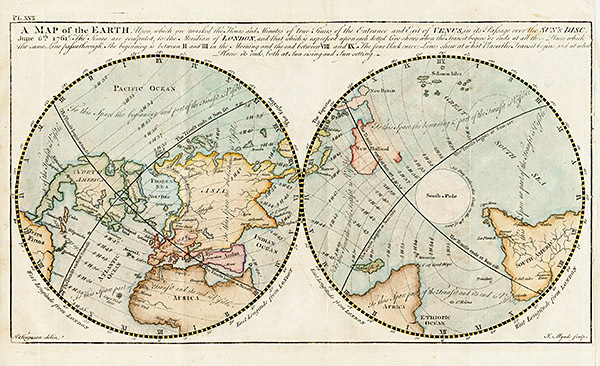 Astronomer David Brewster wrote in the introduction to the 1811 edition, "No book upon the same subject has been so generally read, and so widely circulated, among all ranks of the community." 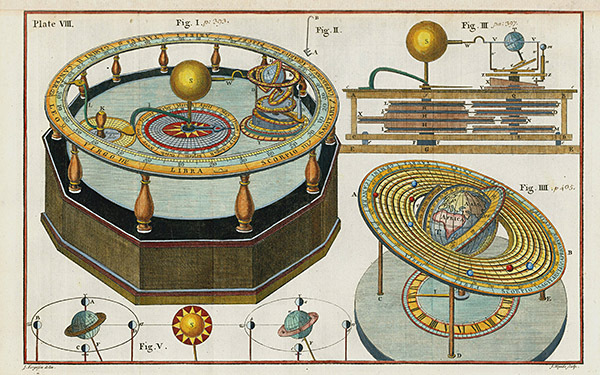 Among his many inventions were clocks models, centrifugal force tables, tidal dials and complex clockwork models of the solar system, or orreries, which were far superior to any previously available. 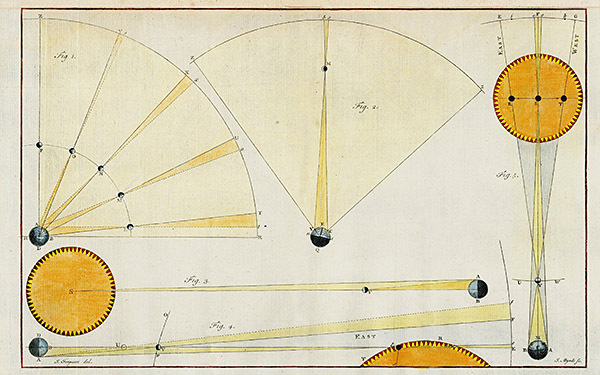 Ferguson's original work contained no plates. 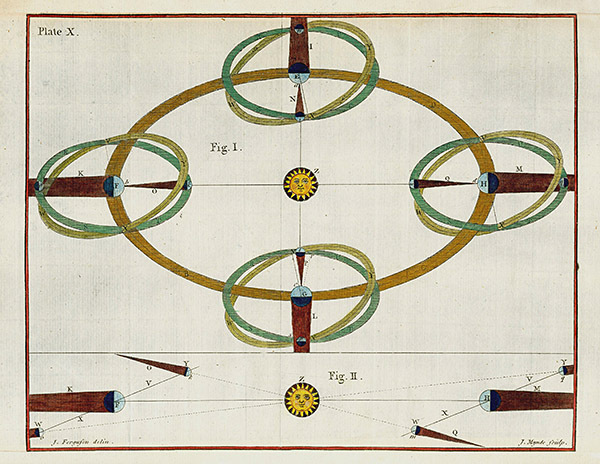 While updating the original work, Brewster published 13 copper plates to illustrate Ferguson's remarkable inventions. The prints are original copper engravings that have been beautifully hand colored by one of the few remaining professional colorists. The condition of the plates is good, with some paper toning and offset as shown. Some prints have been re-margined on the top margin & this may not be clearly visible in the image. It will be barely visible when framed.